Teodoro Obiang is ready for your opinion, support and vote. Vote online NOW! 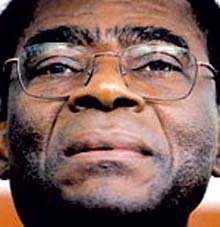 Haga clic en, si no el apoyo Teodoro Obiang Nguema Mbasogo. Decir por qué. / Click, if you do not support this candidate. Say why. Online election results for "Teodoro Obiang" in graph. 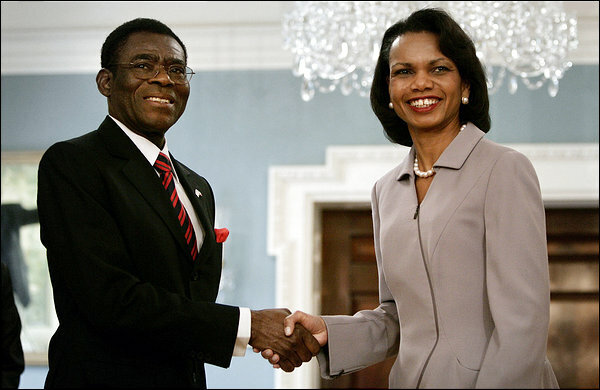 On April 17, 2006, Condeleezza Rice met with Teodoro Obiang Nguema.